Nobody likes to pay taxes. Still, when my elected representatives tell me the tax plan implemented last year was a “Major victory for working men and women and American families,” I can’t help but hope we have fewer of these sorts of victories in the future. It turns out they’re actually quite expensive for my business and my family. I know I’ve posted a lot about the Stinson Municipal Airport Control Tower project over the past several years so I’m not going do it again here other to say that the FAA has taken control control over its operation. The official ribbon cutting ceremony was this week and it was a fine ceremony that featured an all-female mariachi band and a cake that featured the image of the tower design. It also featured some very large scissors. There was this one woman who was apparently the keeper of the scissors. She was more than a little intimidating, but I understand the need for there to be a dedicated person to keep hold of such things. Oversized ceremonial scissors are expensive. 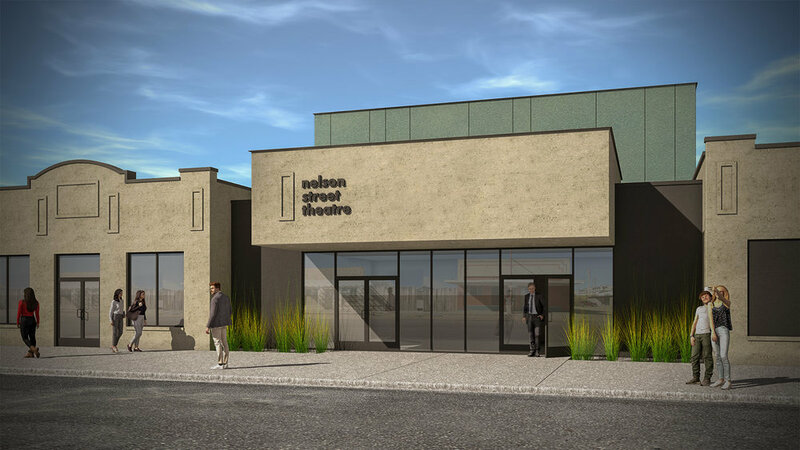 …the ground has been broken on Fort Stockton’s new community theatre. It’s been almost four years since I first started working with the good people of Fort Stockton and it was moving to see so many people show up too see the start of the next phase - the actual building of the thing. It’s been a fun adventure so far and I can only imagine that adventure will continue in the coming year. The board and everyone else I’ve worked with out in west Texas have been incredibly kind and generous - the type of client that make you put up with all the clients that aren’t so great. Now that we have some new photographs of the (almost) finished Stinson Tower I thought it might be a good time to update the website. It’s nothing major but I realized it’s been some time since since I’ve added anything to it. Anyway, you’ll find a few new projects and some updated imagery. And I may have added another Easter Egg or two. 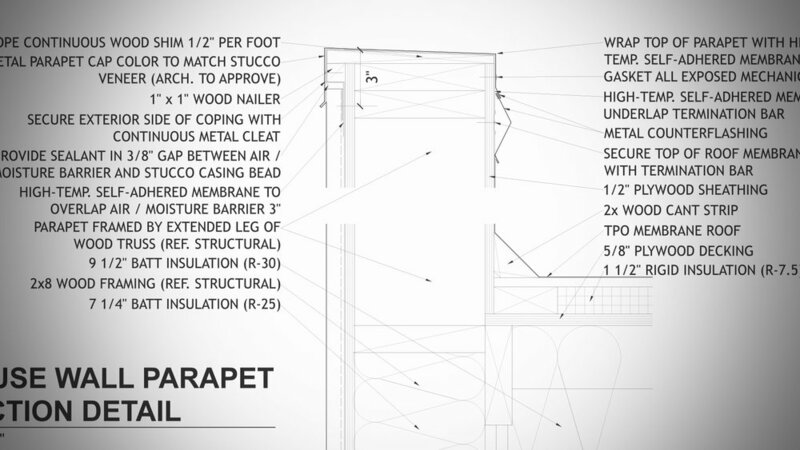 You may have noticed that there aren’t all that many residential projects on our site. This isn’t because we don’t do that many houses - it’s just that there’s a greater need for privacy when we’re entrusted with designing a family’s home. Still we’re incredibly proud of the houses we have designed and are thrilled to be able to share some images when we can. We’ve recently added one house in particular to the website. It’s a home we finished a few years ago for a family on an amazing hilltop just north of San Antonio. They wanted a house that took advantage of the panoramic views offered by the site and we worked with the owners to develop a design that did just that. 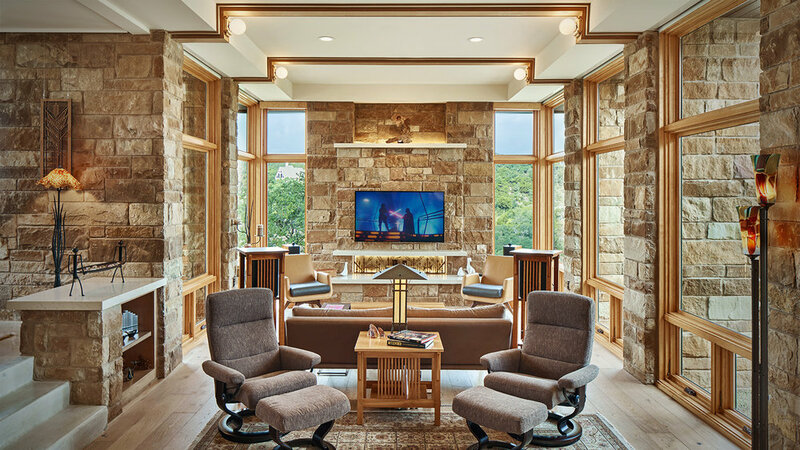 Through the strategic placement of windows we crafted a home that offered expansive views of the outside world while at the same time providing a private refuge from it. By using a combination of natural wood and stone we created an addition to the hilltop that feels like a natural extension of it. 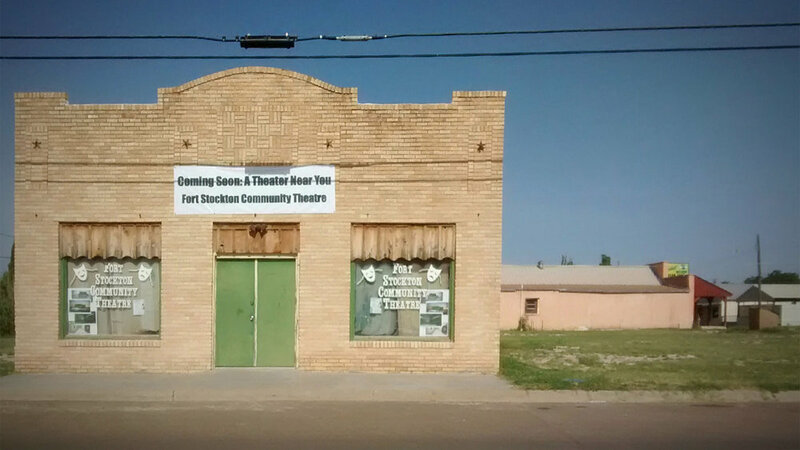 The Construction Documents for the Fort Stockton Community Theatre are complete. 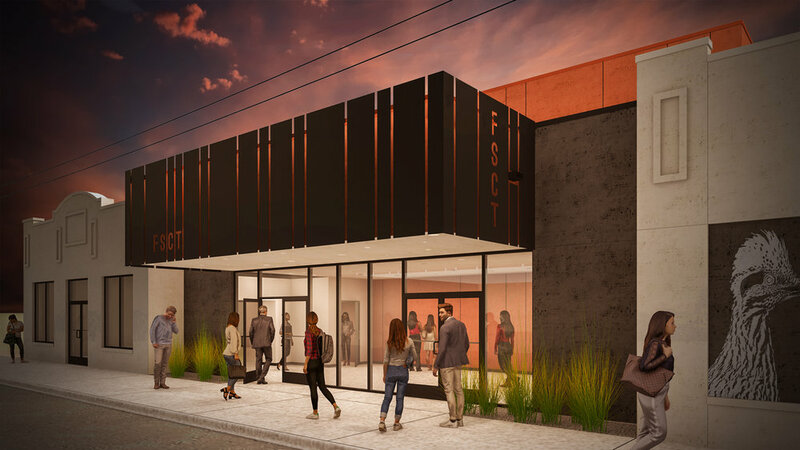 As the overall building design was finalized the design of the marquee was updated yet again and even this may not be its final iteration. The budget for this project is very tight and depending on how the bids come back, it may change again. Still, I like to think that every version improves upon the previous one. I like to think of design as a spiral and even though it may look like you’re going in circles you are in face zeroing in on the final, ultimate design solution. Today is the six-year anniversary of the founding of HiWorks. A lot of cool things come in packages of six - like my abs for example. And so to celebrate this milestone in the history of the office I took my off my shirt and photographed my own six pack. There are some really cool parts about being a small office. On the one hand I answer to no one. On the other hand I have the support of no one. Of course that’s oversimplifying things a bit: I answer to clients and I have the support of colleagues and consultants. But there are times during the life of a project where it would be really nice to have an extra set of hands. Or three. I’m in the final week of the production of a construction document set. These are the drawings that the contractor will use to build the design. On the one hand it’s as close as I often get to the actual construction of a building. Although an architect doesn’t physically build buildings they do have to think about how someone will build them. They have to think about how hands will assemble materials together to keep the rain out while allowing the spirits of the inhabitants to soar. 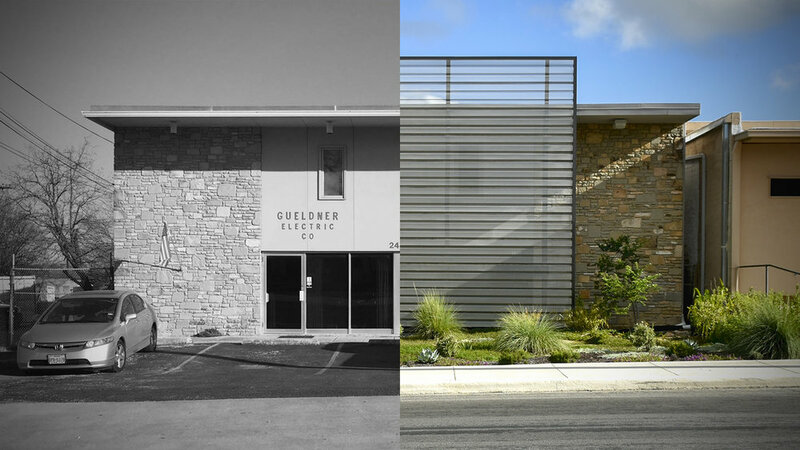 This little office renovation we did on Olmos Drive (across from one of our early projects) wrapped up last year but it's taken until now for the landscape to mature. The idea was create a more pleasant environment for the workers inside by replacing the street parking with a landscaped garden and by protecting the street-facing glazing with a perforated metal screen. 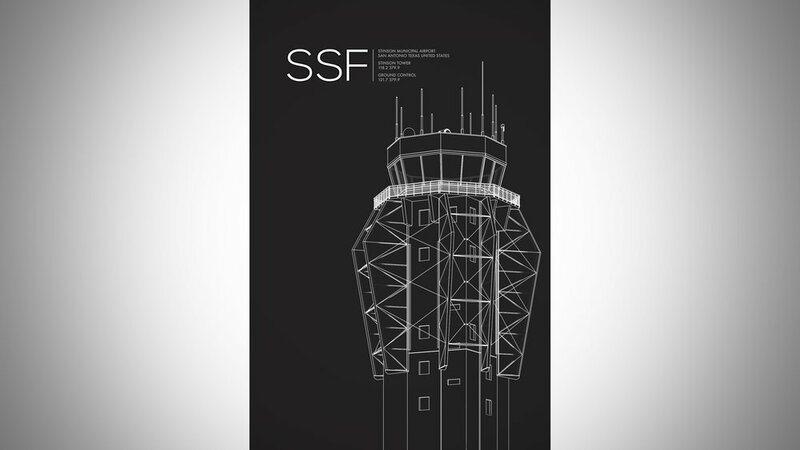 Back in 2015 our proposal for how to "improve" the existing control tower design was selected as the winner of a design competition. Three years later the project is nearing completion and we were recently shown a sample of what the bronze plaque will look like next to the tower's main entrance. HiWorks along with Wrok5hop are listed as being responsible for the "Tower Enhancement Design". Of course this being a secure FAA facility no one is ever really going to see the plaque, but we'll know it's there. So we've been working on a new theater for Fort Stockton for the better part of three years now. We just released a progress drawing set (see above) and if all goes according to plan we'll have everything ready to go for construction to begin this fall. In all probability the design will continue to evolve. It's all part of the process and with a project like this there is always a delicate balance between civic aspirations and budget realities. 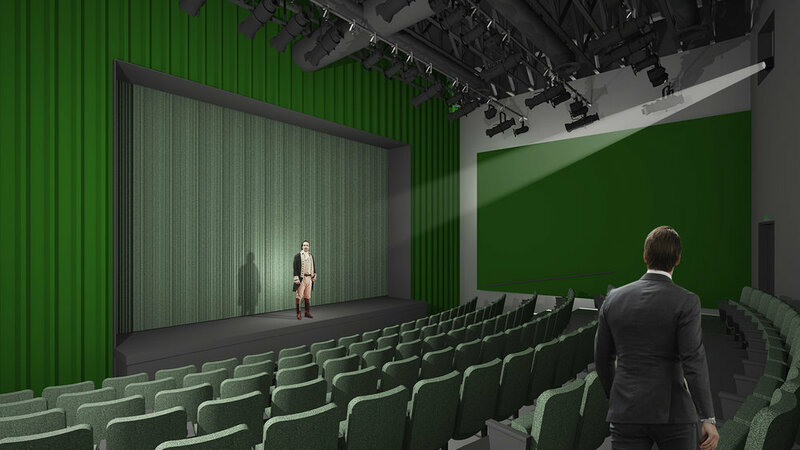 Of course the goal is to make a great new performance space for For Stockton. We're doing that but we also know it's important for the building that houses that space to be a landmark for the city. A poster was recently hung on the current home of the community theatre in Fort Stockton, Texas. It reads "Coming Soon: A Theater Near You." 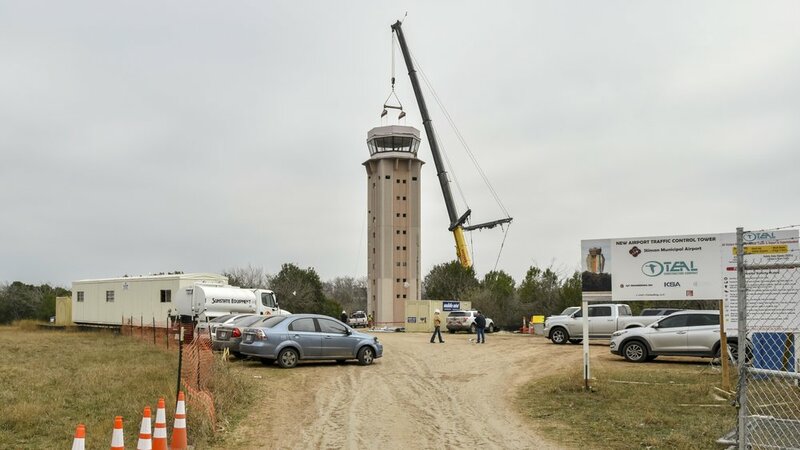 As you've probably seen in recent posts our portion of the Stinson Municipal Airport Tower project suddenly materialized last week. The "wings" we had designed along with Work5hop were manufactured in Arizona and last week they were shipped to San Antonio where all eight panels were then lifted into place. Architecture takes a long time. In many ways this project was no different: we won the "design improvements" competition back in 2015, we completed our portion of the design documents in 2016 and construction on the tower itself didn't begin until 2017. That said our portion of the project really materialized over the course of only a few days. Normally the transformation from rendering to reality does not happen so quickly. There's still work to be done: the cables that secure the wings to the tower need to be tightened and the lighting inside the wings still needs to be calibrated and scheduled. But man, we're close. The wings are going up this week at the new control tower at Stinson Municipal Airport. It's been a long time coming but it's exciting to see this project finally starting to wrap up. There was a time when my college roommate and I would make an annual pilgrimage out to west Texas to explore the natural beauty of Big Bend National Park. As we got older (and got married and had kids) these trips became less frequent. And so when the opportunity arose to work on a project in Big Bend (and get paid to go out to Big Bend) I jumped at the chance to go back. I was also thrilled to collaborate again with Work5hop – a firm that was founded by my college roommate with whom I would often travel to Big Bend. On paper the project itself isn’t the most exciting – it’s the restoration of a historic motel on the banks of the Rio Grande – but it’s great to have an excuse to go out there again. 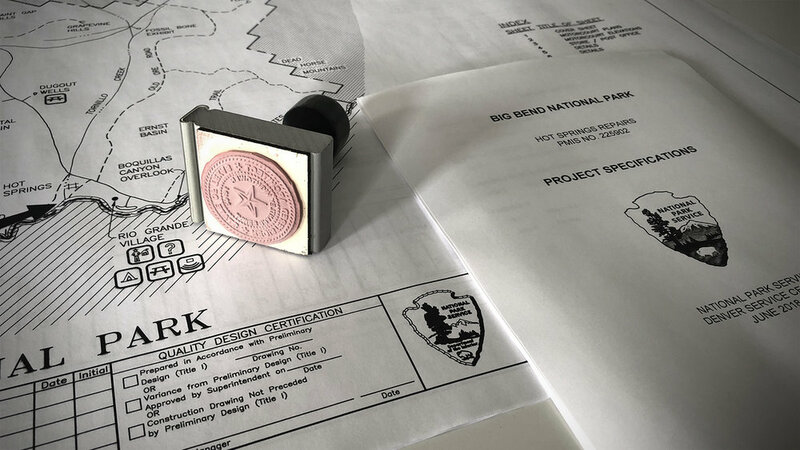 It’s also an honor to be a part of effort to preserve Big Bend so that future generations of college roommates can make pilgrimages out there as well. 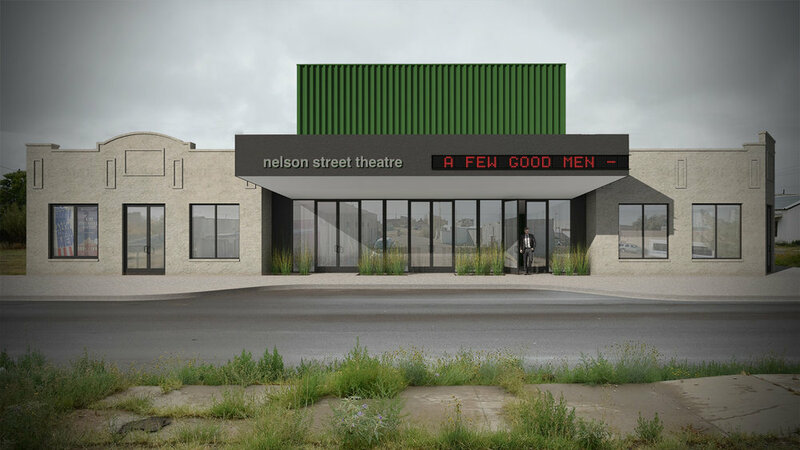 As you may remember back at the end of 2015 we worked on a schematic design for the Fort Stockton Community Theatre. The group used the conceptual design we produced to start fundraising and two years later they were at a point where they were ready to release us to start producing the final documentation of the design. It is an exciting time to be in Fort Stockton and we're of course excited to be a part of that. As a small business owner I watched closely as the Tax Cuts and Jobs Act of 2017 was pushed through Congress at the end of last year. Naturally I was curious about how the bill would impact HiWorks but it was hard to tell - in the final stretch the bill changed from day to day and even after it passed I wasn't sure. HiWorks does not have the luxury of employing a team of accountants to crunch numbers in real time but when it came time to do my taxes for 2017 (the new tax code applies to income earned in 2018) I asked my accountant to see what the difference would be if the new tax code was applied. All totaled HiWorks will pay $711 less in taxes. To be fair my tax burden was reduced by the Tax Cuts and Jobs Act of 2017 as promised. 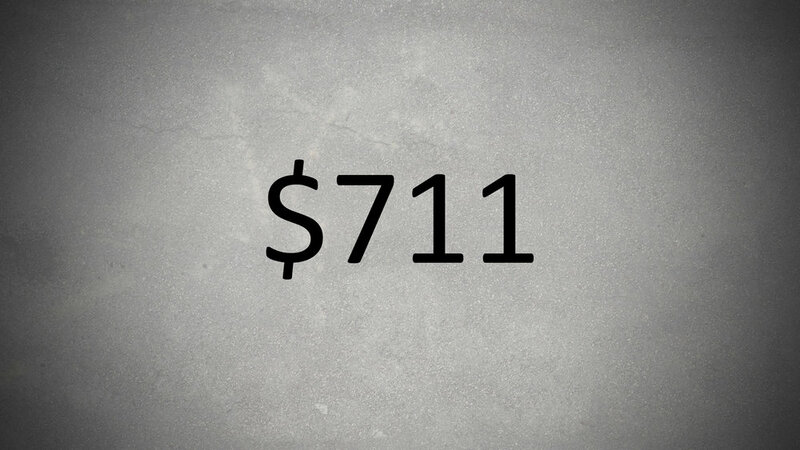 But $711 does feel more than a bit underwhelming - especially when I was told “There’s never been tax cuts like we’re talking about.” Given that this tax cut is projected to add one trillion dollars to the deficit next year alone it would seem some businesses are getting more than $711. It would seem the promised tax savings were not as equitably distributed to small businesses as promised. The fact is I can't hire a new employee with $711. I can't increase productivity by buying a new computer. I suppose could put that extra $711 into my daughters' college savings account but at the end of the day it really doesn't amount to much. Some might say what I need to do is invest in a better accountant but what I'm starting to believe is that what I really need to do is invest in a better Congress. My Facebook feed contains a pretty diverse collection of posts. From friends who seem to constantly be on vacation to Russian trolls there are lots of things vying for my attention. One ad that caught my eye the other day was for a company that sells posters featuring the control towers of various airports from around the world. Of course I checked to see if they had one for Stinson Municipal Airport. They did not but since we have something to do with that particular project I thought I'd suggest an additional print be offered for sale. Please see above. I realize there have been a number of Stinson blog posts in the last few weeks and I promise to return to my usual collection of random posts here in the coming weeks. 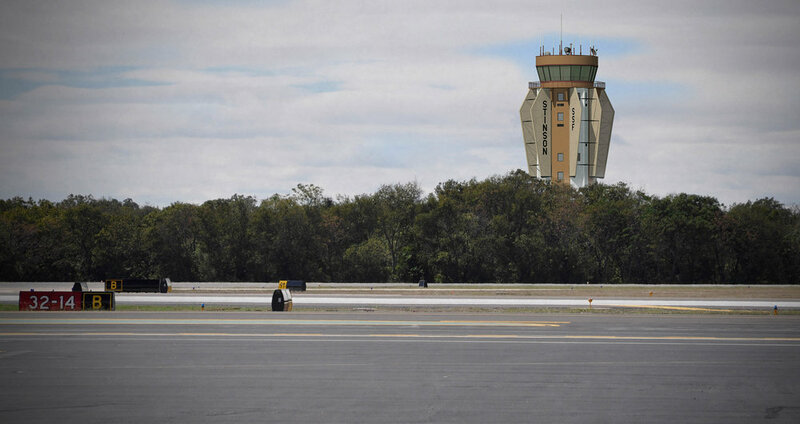 A few weeks ago I wrote about the progress of the new Stinson Municipal Airport Control Tower. As the main portion of the tower was going up the "cab" - the uppermost part with all the windows where the air traffic controllers actually do all their work - was simultaneously being built on the ground. Last week a large crane lifted it to its final resting place on top of the tower. This is not how buildings are normally built. Then again an air traffic control tower is not a normal type of building. When you think about it, this approach makes sense. Since the cab contains the majority of the detail work associated with the project you want to build it in the most efficient way possible. Forcing every sub-contractors to climb ten flights of stairs to do all their work a hundred feet in the air isn't very efficient. Hoisting a massive pre-built component may seem like an extreme approach but it turns out to be the best one. AJT, the engineering firm responsible for the main portion of the tower, has perfected this approach having built several multiple versions of the same tower over the years. Design is about the finished product to be sure, but it is also about how you get there. Strategizing how the "wings" - our contribution to the design - are prebuilt and attached to the tower represented a significant portion of our design as well.